Using forage soybeans is an attractive alternative to haylage. Soybeans may have been first introduced to Ontario as a forage crop in 1893, but today most dairy farmers would only consider silaging their soybeans if there was a bad drought. 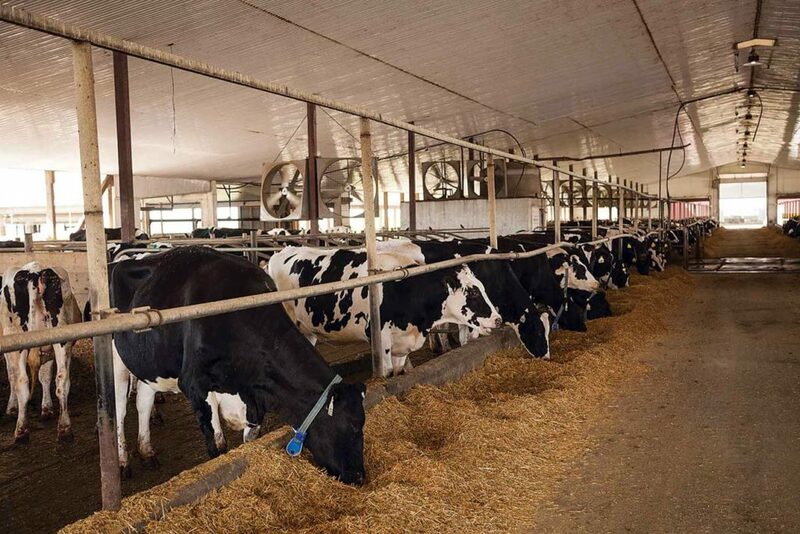 However Oliver, Nick, Robert, and Michel Thurler feed their 450-cow milking herd, in South Mountain, Ontario, beanlage (soybean haylage) in a 35/65 percent ratio with corn silage every year. They’ve found it to be a dependable, high quality, cost effective dairy ration option. 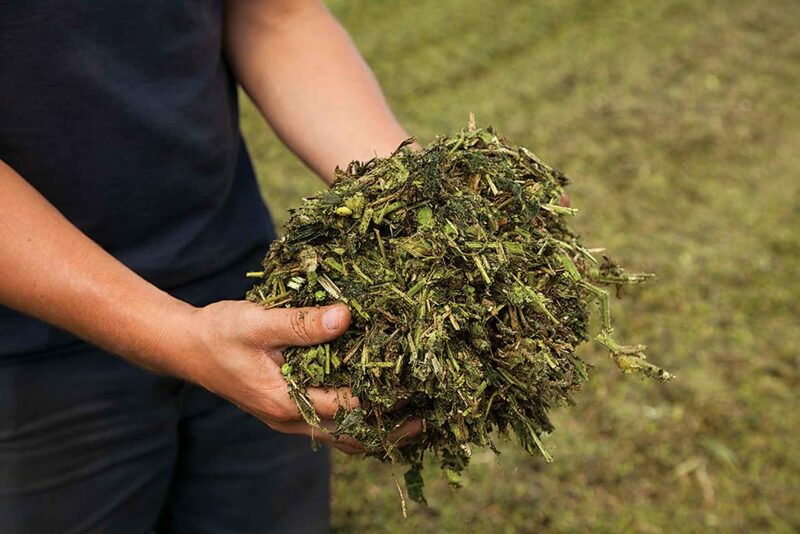 According to Lenny Van Loon, a feed specialist with MacEwen Agricentre in Maxville, Ontario, who works with the Thurlers, beanlage usually yields about five tons dry forage per acre. They are an excellent addition to their ration. Not only do they have high protein content but their dry matter digestibility is between 75 and 85 percent too. They also have a good scratch factor which helps stimulate rumination. The Thurlers have found beanlage has very consistent feed values. Winter kill. The Thurlers grew alfalfa for years but found they were having a lot of winterkill in their flat, heavy clay soils, Nick Thurler says. The problem got so bad a decade ago that they switched to a mixture of reed canary and brome grass for haylage. It worked well if they received rain during the summer, but they found they didn’t get much on their second and third cuts in dryer years. Since they plant their soybeans every spring, winterkill is no longer an issue. They select a very tall, very late variety. Thurler says that in a normal year they’ll grow to shoulder height. Forage soybeans are more or less grown the same way that any other variety would be. The one difference producers need to be aware of is that not all crop protection products registered for soybeans grown for grain can be applied to those used for forage. Others require a certain number of days between last application and harvest. For example you have to wait at least 14 days after your last application of Roundup WeatherMAX before you can cut your soybeans for forage. They feed beanlage in a 35-65 percent ratio with corn silage. Thurler starts cutting his soybeans with a diskbine (without a crimper) as soon as they stop flowering. They are allowed to sit in a windrow for about three days until they are around 60 percent dry matter. Once they reach this stage they rake three or four swaths together and run them through the forage harvester. They are allowed to ensile for three or four months in their bunker-style silos and then they are ready to be fed. A few disadvantages. The biggest disadvantage to using beanlage is you are placing a lot of your eggs in one basket, Thurler says. Your feed supply could get a bit dicey if you have a severe drought, a bad hailstorm, or run into a major disease problem. It also creates a very heavy workload in late August and September. They have to start silaging corn as soon as they wrap up their beanlage operations. Timeless agricultural cycles live on in rural Thailand.